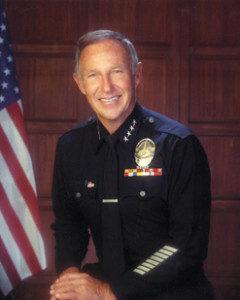 As chief of the Los Angeles Police Department (LAPD) from 1978 until 1992, Gates introduced law enforcement innovations of national significance, including the DARE (Drug Abuse Resistance Education) and Community Resources Against Street Hoodlums (CRASH) programs and, most important of all, the SWAT (Special Weapons And Tactics) concept. His hardcharging leadership style, however, was often viewed as excessive, and his paramilitary approach to policing was seen by some as brutal and inappropriate. Most serious were charges of institutionalized racism within the LAPD. His controversial police career ended in 1992, after he seemingly failed to take necessary steps to quell the worst race riots in Los Angeles history. Gates’s embattled career dramatized many of the challenges of law enforcement in modern America.